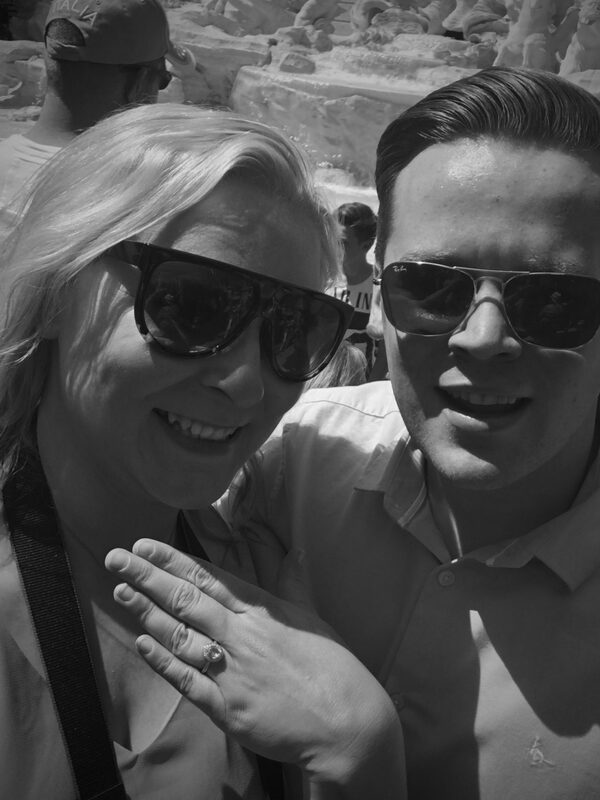 So your partner has just got down on one knee and popped the question, and you’ve said yes! You are most probably floating on cloud nine right now – after all it’s not every day that you get asked to marry someone, is it? Getting engaged is one of the most magical moments of your life – and however your partner proposed, it’s going to be something that you will remember forever. Your engagement is a special moment and one that deserves a real celebration, so it’s important to take the time to think about how you want to celebrate your big news! Below are some tips and ideas that should help you to celebrate in style and mark the occasion in the best way possible for you and your partner! You’ve just got engaged, if that’s not a time for some bubbly, then what is? You’ve just been proposed to, now is the ideal time to break open the champagne and start celebrating. Whether your partner has a bottle on ice or the two of you are planning on heading out for a few drinks or over to your families or friends’ houses to tell them, drinking some of the bubbly stuff is a must! Why not mark your engagement by holding a party? It doesn’t have to be tonight, but you could start planning it, so that you have something to focus on. A lot of couple’s choose to plan a party for a couple of weeks after their engagement, and invite all of their nearest and dearest to celebrate with them. If you want to share your magical news with all of your closest friends and family, then an engagement party is most definitely the way forward. Just think how much fun it would be to properly celebrate your engagement amongst all of the people who you love the most. Plus, you can start planning your wedding and your hen do, even though you’ve just been proposed to, that doesn’t mean you can’t start planning. Want to ensure that your remember your engagement forever? Unless your partner hired a photographer to capture the moment itself, then you might want to have a photo shoot done afterwards at the location where you got engaged. This might seem like an unnecessary expense, but you’re going to want to remember this day forever, so it’s worth making some magical memories that will never fade. Don’t want a stranger taking your precious photos? Then why not ask a friend or family member to capture them for you? This would add a more personal touch to your photos, and make the memories even more special. There you have it, a few ideas for celebrating your engagement in style. It’s a momentous occasion and one that deserves to be marked in the best way possible, so it’s important to take the time to plan something spectacular. Previous Post Should Your Wedding Be Fun?